Method and system for implementing a multiple writer single reader queue in a lock free and a contention free manner. The method includes receiving a plurality of payloads from a plurality of users, assigning each payload to a writer thread, creating a corresponding writer queue by each the writer threads, enqueuing queue entries into the writer queues maintained exclusively by the each of the writer threads and dequeuing sequentially the queue entries by a reader thread. Further, the method includes adding and removing one or more writer threads in real time. The system includes an electronic device for displaying a plurality of payloads. The system also includes a processor, a memory that stores instructions and a communication interface in electronic communication with the electronic device and the processor. 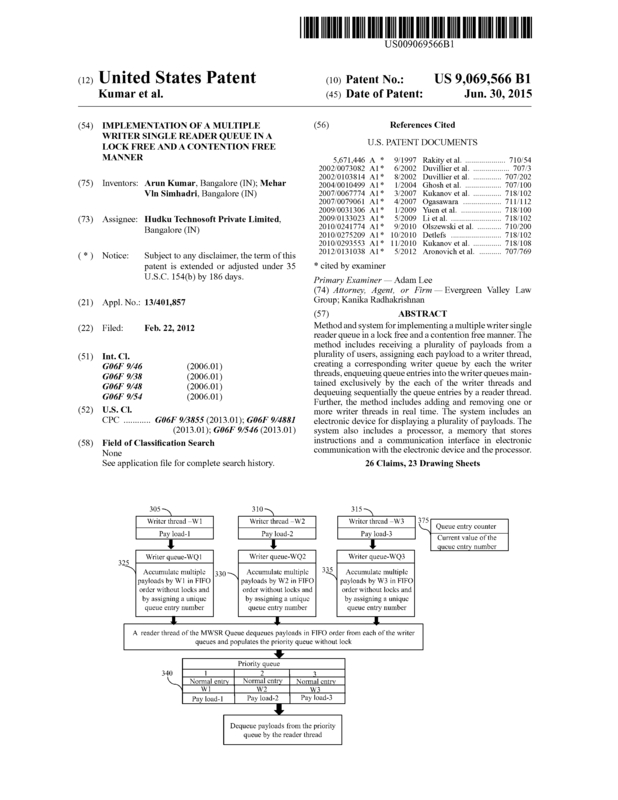 Page created at 2019-04-25 20:49:52, Patent Auction Time.